From the best-selling author of Seven Brief Lessons on Physics, comes a concise, elegant exploration of time. For most listeners, this is unfamiliar terrain. We all experience time, but the more scientists learn about it, the more mysterious it remains. We think of it as uniform and universal, moving steadily from past to future, measured by clocks. Rovelli tears down these assumptions one by one, revealing a strange universe where at the most fundamental level time disappears. 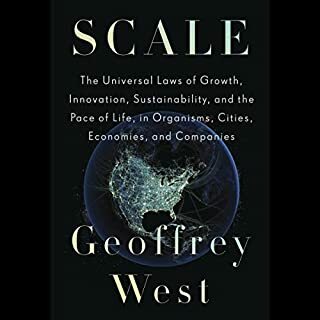 He explains how the theory of quantum gravity attempts to understand and give meaning to the resulting extreme landscape of this timeless world. 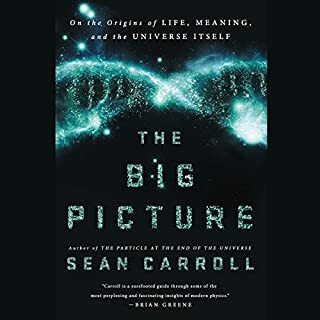 Weaving together ideas from philosophy, science, and literature, he suggests that our perception of the flow of time depends on our perspective, better understood starting from the structure of our brain and emotions than from the physical universe. 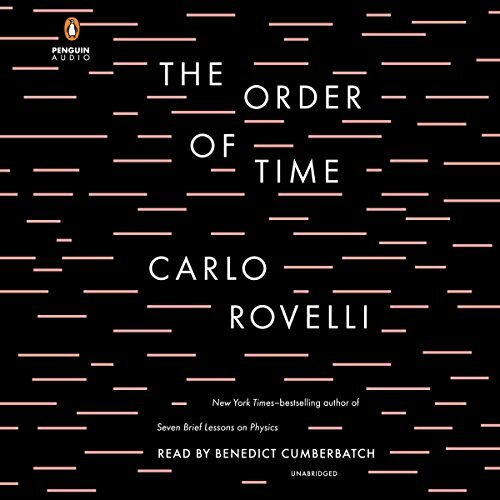 Already a best seller in Italy, and written with the poetic vitality that made Seven Brief Lessons on Physics so appealing, The Order of Time offers a profoundly intelligent, culturally rich, novel appreciation of the mysteries of time. At times difficult to follow as I lack a background in physics, but thoroughly enjoyed the topic. the last few chapters were actually quite heartwarming. I was hoping to be able to grasp some of the content of this book but it's way over my head. If you are not a physicist or if you are looking for a book to learn about the concept of time, this is probably not a good start. On the other hand, if you are quite familiar with quantum mechanics, then you will definitely enjoy this book. Stimulating, clear, and nicely written. It's really great when scientists can write and Carlo Rovelli is one of them. i would say it's the right balance between physics and philosophy. And having Benedict Cumberbatch as a narrator makes this book so pleasing to listen to. You better have your thinking cap on, cause this one will make you do just that... although, not in a bad way. 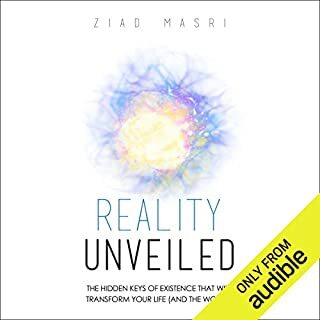 If you aren't at least somewhat familiar with the language of quantum mechanics, or theoretical physics, this may be a tough listen. 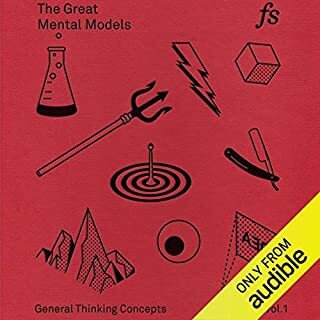 I listened to the entire book while driving from my home in Utah to Denver, sometimes rewinding to catch key concepts. Benedict Cumberbatch is phenomenal, bringing the passion of the author to the narration with ease. I plan to find more books with Cumberbatch as the narrator; ad well, I plan to listen to others by Rovelli. If you've never read Rovelli, read this book. 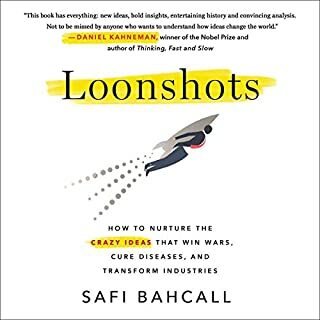 If you have read Rovelli and are wondering if you'll learn anything new from this book, you will indeed. 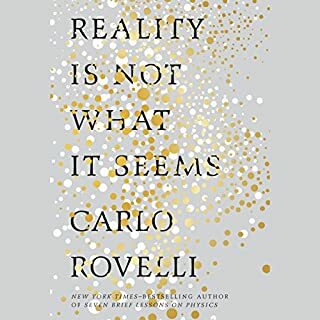 Rovelli fairly destroys the very popular conception of a 4D block universe, which imagines that outside of our own existence, the universe exists as an unchanging monolith of all space and time. 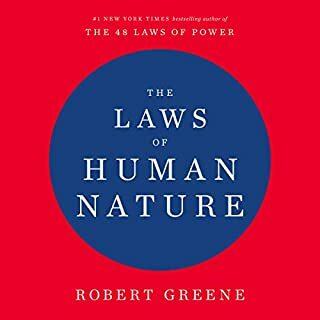 He does this by driving home the fact that there is no present, no universal now for all observers (where observers are not just consciousnesses). Rovelli's assertion that there is no present is not new to this book, but it does come alive here. If all of reality is truly interactions interacting locally, how can there possibly be a universal now? There can not. I don't often write reviews but this one warrants it for me. 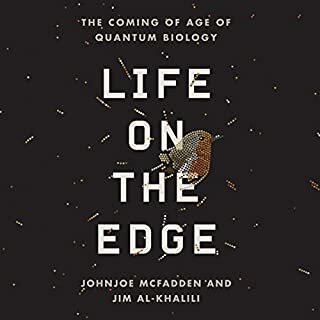 Carlo Rovelli, one of modern physics best communicators, writes this exceptionally written book, our latest take on the nature of time. It is frequently mind-blowing and yet not impossible to understand. It's even quite moving, personal, and poetic at times. It's one of the rare books that has really altered the way I can look at the world unfolding around me. Then there's the narration which makes this piece really special. Narrated by Benedict Cumberbatch, you get the feeling like Sherlock Holmes is explaining to you the intimate mysteries of the universe. It works splendidly. Cumberbatch's voice is clear and kept me riveted. 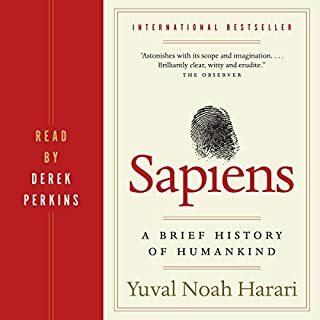 I would really love to see more audiobooks produced this way, where the narration is done by someone with some real acting chops. This is a beautiful book describing the mystery of time eliminated by an outstanding Cumberbatch narration. 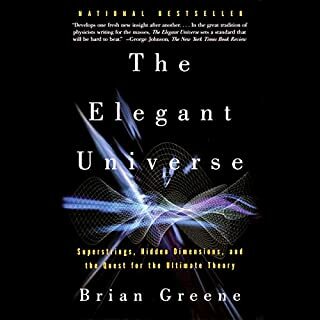 It is only fitting that time, the phenomena, the one thing that everyone talks about but can’t describe, is summarised by a quantum gravity specialist, when most physicist are focusing on the ever elusive string theory. 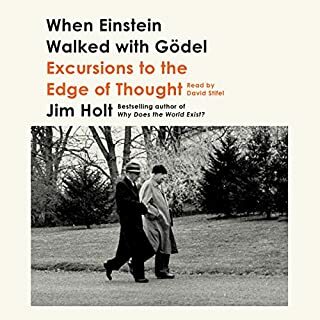 Probably one of the best books on time I’ve read and certainly an unusual marriage of romance and physics, letting us know how little we know. 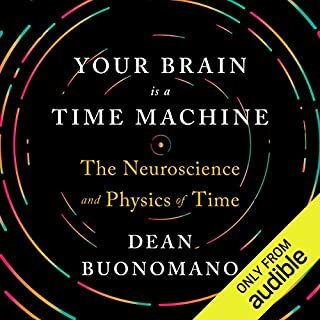 Some of the insightful perspectives of time, which I haven’t found in other books makes this book a must for anyone interested in its scientific properties. Easy to listen to for anyone. Carlo Rovelli is a fascinating man. Steeped in the physics of loop quantum gravity, and in the philosophy and psychology of time. This book is a kind of poetry about time. It seems that, in the absence of a provable theory of time, we'll have to settle for this kind of poetry. I found the book lacking. Not because I don't like poetry, but rather because I was hoping for more physics. There are recent speculations on the directionality of time that weren't discussed, and it seems to me that these are important in a contemporary book about time. It should be said that I'm an advocate for Block Time, and found Rovelli's dismissal of it to be illogical. Simply stating that time is a sequence of events doesn't even address the issue of block time, let alone add clarity to the nature of time itself. On balance, because Rovelli is such a compelling thinker and provides real insights into the nature of time, this book is worthwhile. Be prepared, however. 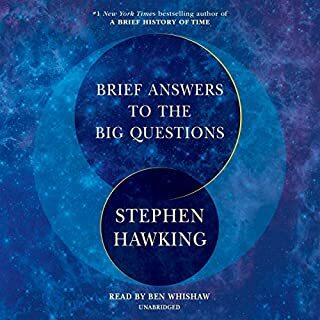 This is not a book on the connection between quantum gravity and time, rather it is a book on the philosophical nature of time, and how each of creates time at the intersection of memory and anticipation in our brains. I’ve been looking for a book like this over twenty years. Wonderful and insightful. It runs the gamut from Newtonian to Einsteinian to Thermal, memory and experiential time. I’m going to have to read it again. What is time and every question you never thought about it, is answered or asked. 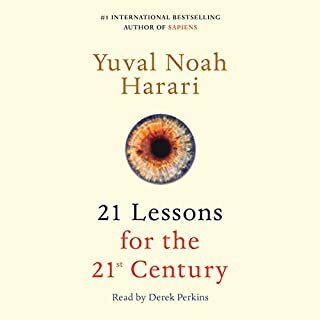 Time may just be the reason and answer to life, after listening to this author. Cumberbatch is the Perfect Narrerator! This book goes into some VERY complex theories on time. I can ultimately say that I walked away from this book actually learning some things. 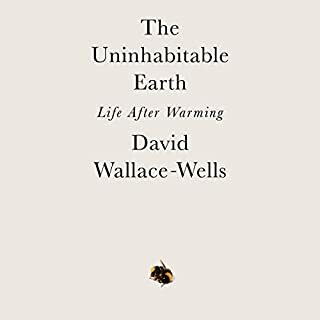 But, there were a few passages where I had to rewind and listen again, because they were SO in-depth on this subject, that frankly, we as human beings, TRULY don't understand fully. So it was pretty fun exploring Carlo Rovelli's theories on The Order of Time. The man is a genious! Benedict Cumberbatch could read the phonebook and I'd enjoy it. He has one of the best reading voices that I've ever had the privilege of listening too. I hope he does more audio books in the near future, because I will purchase every one of them. 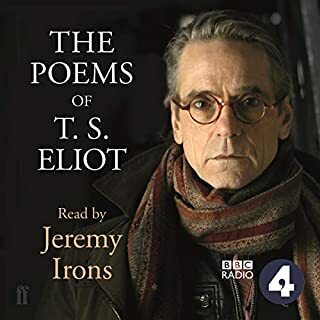 Even though it is under 5 hours in length, based on the quality of the production, and some of the beautiful prose that are within the book, it is well worth 1 credit. I will definitely listen to this again and again. As for the content, Time as a subject is hot these days. The nature of time as explored in Physics, Philosophy, Psychology or Cultural Studies is diverse and divisive. If you start to look around, you will find that you can chase that rabbit down a path in each direction you can think of. There are too many to name here. However, I think this particular hole is possibly all most people will need. It digs deep enough into the physics of it, seasons it with a bit of temporal philosophy and presents it poetically. Here is the heart of it: Time matters to those creatures whose very being, or becoming, are made of it. Not only has Rovelli written an interesting book, he’s a very good writer and he loves the story he tells. Benedict Cumberbatch Is exactly the right narrator to highlight this. His delivery is clear and understandable, and his intelligence is apparent. 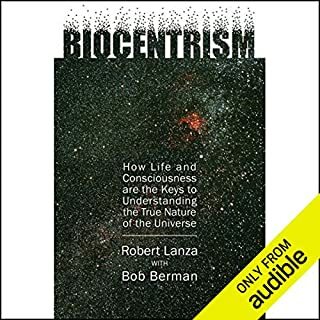 This is one of the best Audible books on science for a layperson I have listened to. 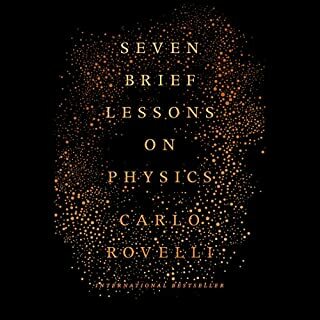 I highly recommend it to anyone interested in current popular physics and cosmology, especially regarding the emergence of time in the universe, which is one of Rovelli’s special areas of interest. edit: there is a suggestion at one point to skip a few of the more complex chapters. Don't do this. I had to relisten to several passages repeatedly to ensure I understood them, but it is well worth it. These chapters are the meat of the book and it is worth the effort to understand what he is talking about. Just concentrate, rewind and listen; all the fun is in these ideas.